Daily Mets Podcast: Episode 187 "The One That Ends The Season"
Daily Mets Podcast: Episode 186 "The One With The David Wright Podcast"
Daily Mets Podcast: Episode 185 "The One With The Best Groundout To Third Ever"
Daily Mets Podcast: Episode 184 "The One Where The Catchers Slug And The Announcers Eat Cake"
Daily Mets Podcast: Episode 183 "The One Where deGrom Sticks The Landing"
Daily Mets Podcast: Episode 182 "The One Where The Captain Comes Back"
Daily Mets Podcast: Episode 181 "The One With A Peek Into The Future"
Daily Mets Podcast: Episode 180 "The One Where Kevin From The Office Brings In His Homemade Chili"
Daily Mets Podcast: Episode 179 "The One With... One Hit? That's All They Got, Was One #$&% Hit?" 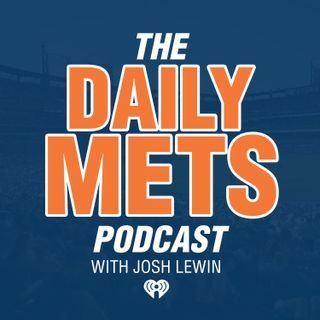 Daily Mets Podcast: Episode 178 "The One Where deGrom Makes It Quite Clear"